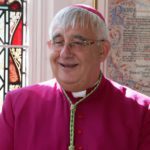 Bishop Ralph – Pastoral Letter for the Feast of the Holy Family – Sheffield Catholic Cathedral. Throughout most of the Church’s year, we are invited to listen to and ponder on the public life and ministry of Jesus. Today’s Feast of the Holy Family, however, is our timely reminder that Jesus lived most of his life far away from the public gaze, with his parents and the local community of Nazareth. 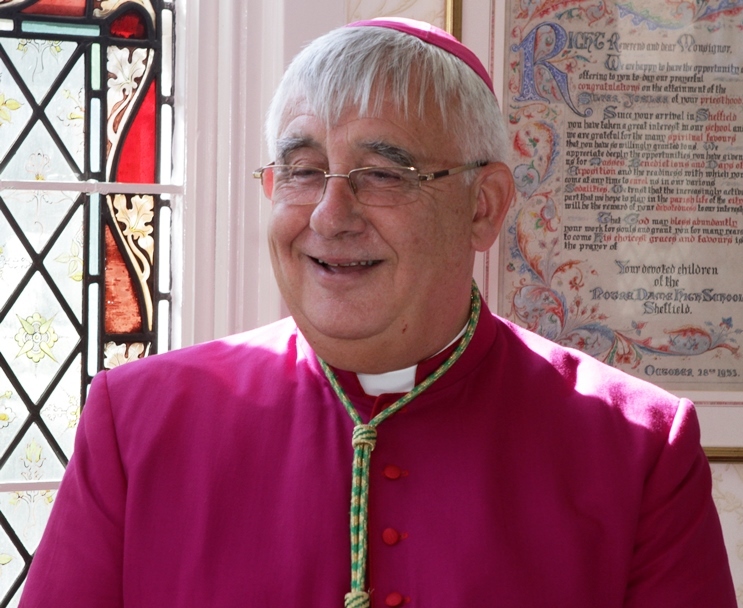 The ‘hidden years’ was a period of his life no less significant for him and for us than his public life and ministry. Indeed, the family was where he learned the language to express his central message of the Father’s love for the world. As a family, they would not have stood out from the crowd. In fact, one of things that made them so remarkable was that they were unremarkable. They were simply, Jesus, Mary and Joseph, the carpenter’s family from Nazareth. The passage from St Luke’s gospel today is one of the very few passages of scriptures that imagines these hidden years for us. Mary and Joseph in obedience to the Law take their new-born child to the Temple where they are met by Simeon and Anna. It is a bitter-sweet moment for Simeon – a hope fulfilled and a journey over. New things were on their way. A new light was dawning for a new people. Anna, too, had waited longingly for the one who would be the consolation of their people. Now the waiting was over and the gospel had begun. We are reminded by the witness of these two ‘old-timers’ that in the family of Nazareth an ordinary existence had already begun to nurture an extraordinary life. During the month of November I led the diocesan pilgrimage to the Holy Land. Late one afternoon we visited a shop in Bethlehem where we could buy souvenirs or gifts to bring home. Many of the religious objects were made out of olive wood. As I looked around the shop my eye was drawn to a beautiful statue of the Holy Family carved out of a single piece of olive wood. It now stands in the hall at Bishop’s House. Mary is holding the child in her arms. She is leaning forward and gently kissing the child’s forehead. Joseph is supporting the back of the child’s head with the open palm of his hand. There is an unmistaken look of mutual love and care etched on the faces of Mary and Joseph. For me, it is an image that captures something of the life and daily living of the Holy Family of Nazareth. In the second reading today, Paul is writing to the young Church at Colossae – a community not without its problems and difficulties. Here, Paul is offering them advice on how to form and live as a healthy Christian community: be compassionate, kind, gentle, forgiving, and loving. It is, of course, advice that applies equally to the forming of, and living out, a healthy family life and modelled for us by the Holy Family of Nazareth. It is that easy and that difficult! Today’s feast, then, is a reminder to us that we are called to live in our own Nazareth – a place of everyday joys and sorrows where we all experience at different times both happiness and peace, brokenness and fragility. We give thanks for the Holy Family who, as the opening prayer at Mass today reminds us, has been given to us as a shining example and prayerful support.